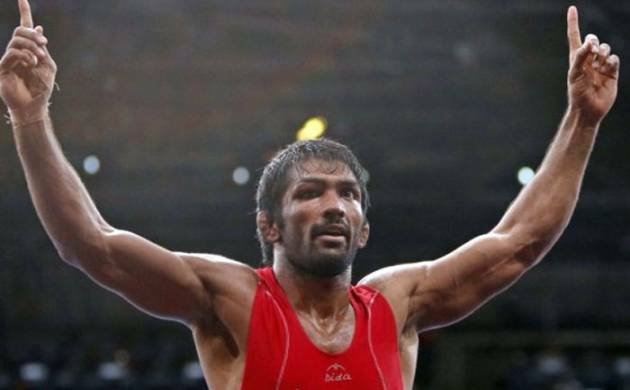 Indian wrestler Yogeshwar Dutt lost 3-0 against Mongolia's Ganzorigiin Mandakhnaran in qualifying round of Men’s 65 kg freestyle wrestling category at Rio Olympics 2016. In the opening period, Mandakhnaran earned a point in 30 seconds due to the passivity of Yogeshwar to take a 1-0 lead. Mandakhnaran then turned a defensive position into an attacking one to take down Yogeshwar and quickly bag two points to surge ahead. With a minute to go, Yogeshwar failed to get around his opponent and went into the break 0-3 down. Yogeshwar, who qualified only in March this year for the Rio Games after struggling with a knee injury, was expected to turn the tables in the second period but he just could not script a comeback. In the last minute of the bout, he tried to pin down his rival but all his efforts went in vain. Yogeshwar Dutt had won the Bronze medal at the 2012 Summer Olympics in London. He was awarded the Padma Shri by the Government of India in 2013. In 2014, he won the Gold Medal at the Commonwealth Games in Glasgow.